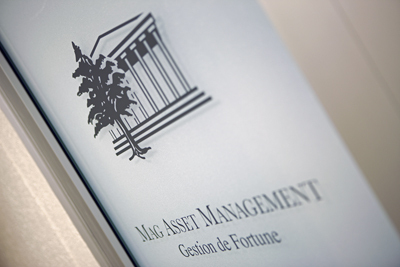 Mag Asset Management SA is an independent asset management company based in Geneva. Over the years Mag Asset Management SA has developed quality relationships with prestigious private banks in Switzerland and Luxembourg. As required by Swiss legislation, the company is affiliated to a self-regulatory organisation, the OAR-G, and is a member of the GSCGI (Groupement Suisse des Conseils en Gestion Indépendants – Swiss Association of Independent Financial Advisers), whose role is to regulate our business. 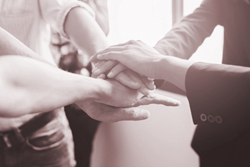 Mag Asset Management SA’s team is composed of experts with diverse but complementary professional backgrounds, such as asset management, banking and financial engineering. Together they have accumulated substantial experience in portfolio management. Mag Asset Management SA is proud of its dynamic, competent team, which operates at a human scale. The company is attentive to its clients’ needs and remains at their service. Independence, Rigor, Professionalism and Respect. By respecting these values, we are able to retain our clients’ confidence and develop unique, long-lasting relationships. Therefore, Mag Asset Management SA can freely choose its brokers and analysts according to their professional competences and resourcefulness.